Fracking or hydraulic fracturing is a way of extracting natural gas that involves injecting fluid into a well under high pressure to fracture the gas-bearing rock and release the gas inside. The practice has been linked to most large earthquakes in Alberta and B.C.’s oil and gas patches in recent decades. And some U.S. residents have launched lawsuits over injuries and damage to homes caused by earthquakes induced by the oil and gas industry. But generally across North America, fracking-induced earthquakes are rare and also a relatively recent phenomenon, prompting questions about why they arise in some places and not others. 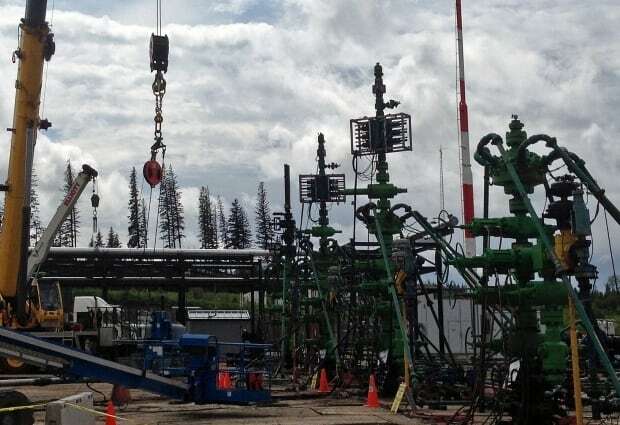 Some of the biggest fracking-induced earthquakes in the world — including three higher than magnitude 4.0 that could be felt by humans — have taken place in the Kaybob Duvernay Formation near Fox Creek, Alta. But they’ve happened only in certain areas and only since 2013, even though fracking began there in 2010. 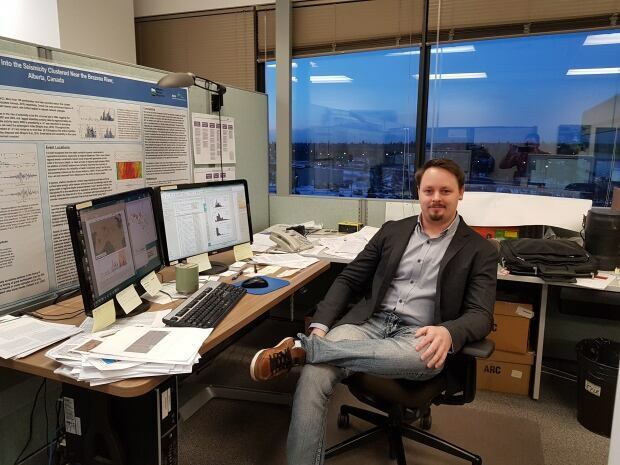 A study led by Ryan Schultz, a seismologist with the Alberta Energy Regulator and a geophysical research scientist at the University of Alberta, shows that the underlying geology determines whether earthquakes can be induced at all by a particular well. But if an earthquake can be induced, then the number of earthquakes increased with the amount of fluid pumped into the well, reports the study published Thursday in the journal Science. The authors of the study, which also involved researchers at Western University, the University of Calgary, the University of Alberta and Natural Resources Canada, came to that conclusion after analyzing drilling records for around 300 wells in the region submitted to the Alberta Energy Regulator. They found that the reason earthquakes didn’t start there until 2013 was because companies didn’t start drilling earthquake-prone wells until then. So what makes a well earthquake prone? Earthquakes happen at faults, where two of the Earth’s tectonic plates come together. Earthquakes occur when the two plates slip or slide relative to one another. In order to cause an earthquake, a fracking well needs to have a physical connection via the underlying rock to a fault that is oriented so that the pressure of fluid from the well can change the stress on that fault and increase the chance of it slipping. “The concept is pretty dead simple,” Schultz said. That’s because it’s hard to tell if a nearby fault exists, what its orientation is, and whether its physically connected to a well. That said, Schultz and his collaborators managed to pinpoint some signs that the underlying geology might be prone to earthquakes. One is the edge of a fossil coral reef below the well. The edges of modern coral reefs tend to form at faults, so ancient reefs likely did, too. When ancient reefs are buried and fossilized, they produce a distinctive type of rock called carbonate that geologists often detect and map, pointing to the location of faults, Schultz said. Based on their results, the researchers came up with an equation that allows people to input the fluid volume and a description of the geology into earthquake rate forecasts. Such equations are routinely used to forecast the risk of natural earthquakes, which remains constant. But it’s been much harder to find a way to forecast the rate of human-induced earthquakes because it changes depending on human activities, Schultz said. “While we’re certainly not there yet, this is a good step in that direction,” he said. He thinks the relationships of different factors to earthquakes uncovered in this study could also be adjusted to apply to other regions. 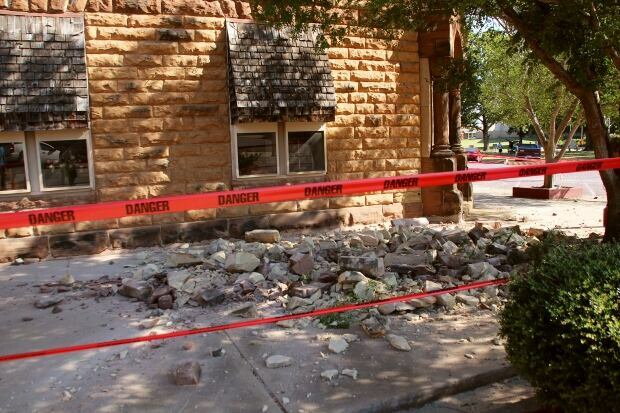 Heather Deshon, a seismologist at Southern Methodist University in Dallas, Texas, has been studying fracking-related earthquakes in her state since 2010. Deshon, who was not involved in the new study, agrees that the research will allow for more accurate earthquake forecasts. “That’s important for people living in an area … but also important for the industry that is building infrastructure in an area to understand,” she said. But she noted that for now, the equation relies on already knowing whether earthquakes can be triggered in a given area or not. Mirko van der Baan, a University of Alberta researcher who has studied the link between earthquakes and fracking across North America but was not involved in the new study, says the findings help explain why fracking-induced earthquakes have only been noticed in the past, even though fracking has been happening since the 1940s and common since the 1970s. The recent invention of horizontal drilling has boosted the volumes of fluid pumped into wells, he said. He said that if we better understand what causes human-induced earthquakes, it may be possible to prevent them in order to better balance economic and environmental sustainability.